Sanavi Health Solutions coupons are redeemed during the check out process. After placing items in your shopping cart and signing in or creating an account you will be able to check out by clicking on the 'Checkout' button. Step 1 of the check out process involves selecting a shipping method and a shipping address. The standard shipping method will have a per unit shipping cost. If your item(s) have free shipping you may select the free shipping method instead of the standard shipping method. If you have a coupon that has free shipping then the shipping amount will be deducted from your total amount after you enter your coupon code during the next step. Step 2 of the check out process involves entering your payment information. On this step you can enter a discount coupon code into the box labeled 'Redemption Code'. 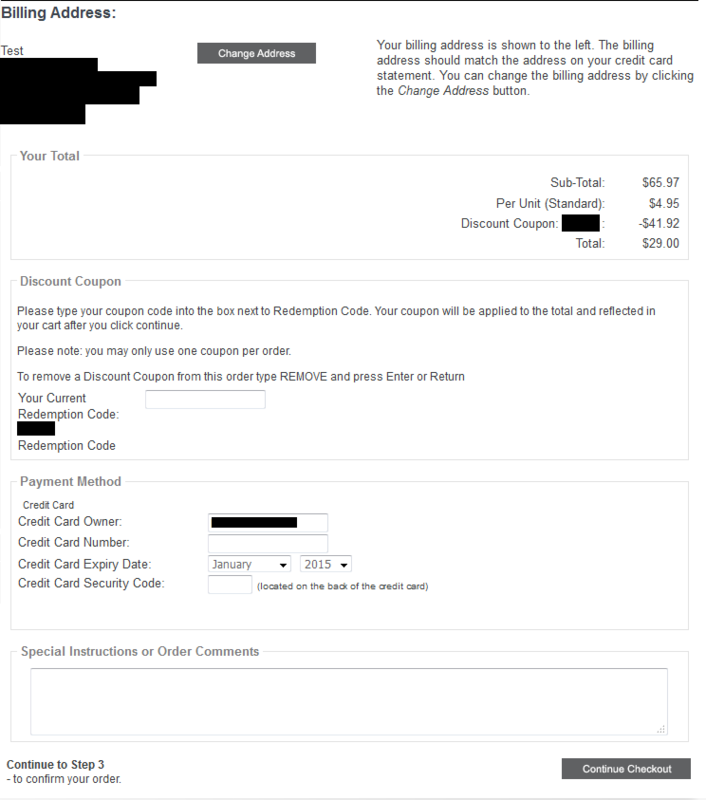 After entering a coupon code you may click the 'Continue Checkout' button to see the discount coupon amount deducted from your total. 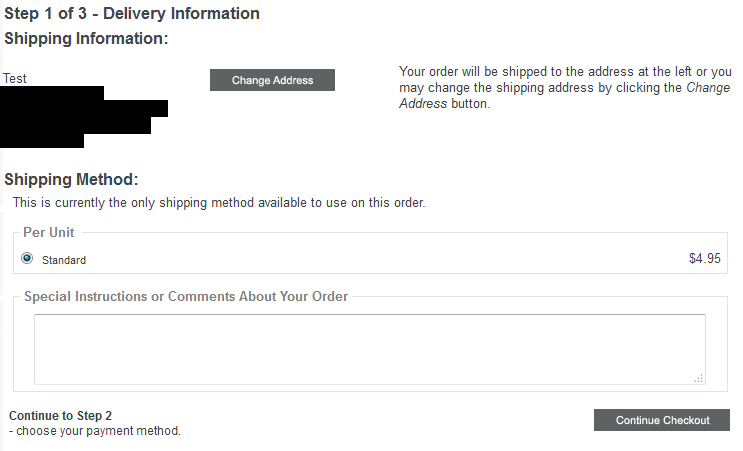 Enter your method of payment and click the 'Continue Checkout' button to confirm your order. 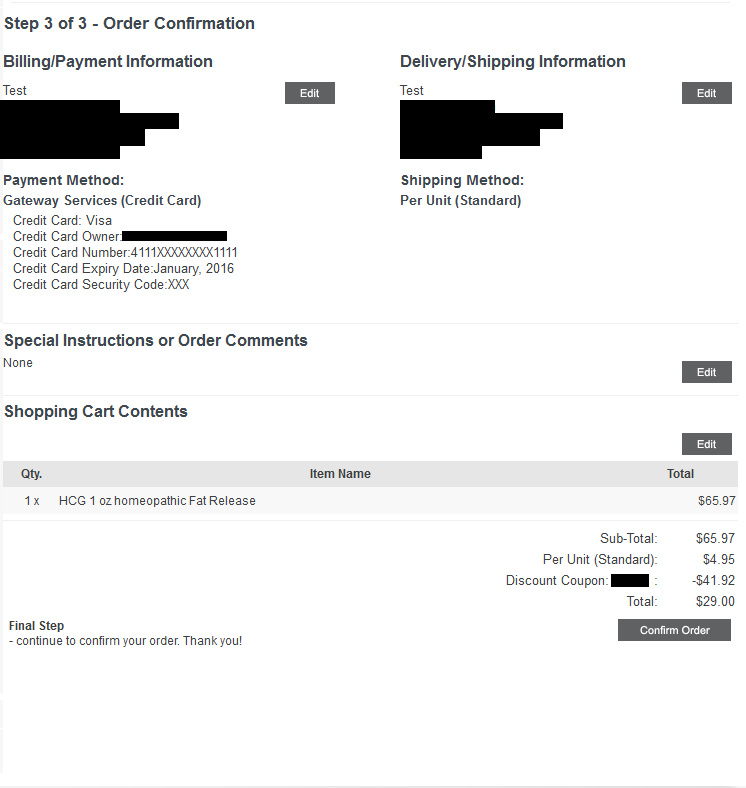 Step 3 of the check out process is an order confirmation page. Review the billing, delivery, shopping cart contents, and the total price of your order. Click the 'Confirm Order' button to complete your order.